Arthur Waugh showing students drawings from what was then called the "Documents Collection", 1965. William W. Wurster founded the Environmental Design Archives (then the Architectural Archives) in 1953 as a teaching collection, following the recommendation of eminent architectural historian Henry Russell Hitchcock. The personal papers and project records of Bernard Maybeck comprised the inaugural donation. In 1973 the Department of Landscape Architecture combined its collections with the Architectural Archives prompting the College of Environmental Design to adopt the name "Documents Collection." The collection became the Environmental Design Archives in 1999 in response to the establishment of a formal archival program. The Archives has become Northern California's premier collection of historic architecture and landscape architecture records. Since its founding, the Archives has been directed or supported by faculty members. Architect Kenneth Cardwell (1953-1972) was initially responsible for managing the archives followed by Architectural Historian Stephen Tobriner (1973-2003). Designer/ author Marc Treib (2004-2014) served as the Faculty Curator following the establishment of the EDA by Curator Waverly B. Lowell (1998-2018) the first professional archivist. The Environmental Design Archives holds more than 200 collections documenting the built and landscaped environment. These records span more than a century, 1890-2014, and contain primary source materials such as correspondence, reports, specifications, drawings, photographs, models, and artifacts. Though the archives' primary focus is the San Francisco Bay Area, designers and projects from throughout California, the United States, and the world are found in the collections. 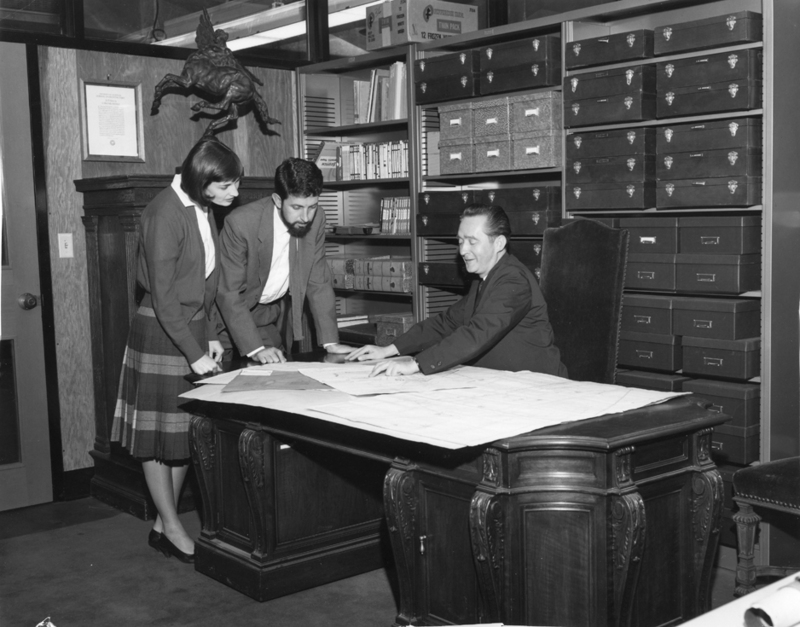 The archives holds the records of California's important early architects of the First Bay Region Style (ca. 1890-1917) including John Galen Howard, Bernard Maybeck, Julia Morgan, and Willis Polk. In conjunction with Southern California architects Charles and Henry Greene, they pioneered styles and forms that reflected the exchange between traditional European styles and existing Western idioms. In the Bay Area these designers found a wide availability of materials and a friendly climate that encouraged the synthesis of new building techniques with elements of a romantic past, yielding an innovative architecture that influenced architects and communities outside California. The Archives’ collections highlight the Second Bay Tradition (1928-1942) originated in the works of William Wurster, Clarence Tantau, and Gardner Dailey. Also well documented is the Third Bay Tradition, which flourished from the mid 1940s through the 1970s, as seen in the designs of Joseph Esherick and EHDD (Esherick, Homsey, Dodge & Davis), WBE (Wurster, Bernardi & Emmons), William Turnbull, and MLTW (Moore, Lyndon, Turnbull &Whitaker) and others. These California designers included a modern aesthetic in their response to the environment, creating forms that received international respect and were widely influential. Post-war modern design is also well represented in the collections of Ernest Born, John Funk, Hans U. Gerson, Henry Hill, Roger Lee, Donald Olsen, and the Eichler’s by Oakland & Imada. 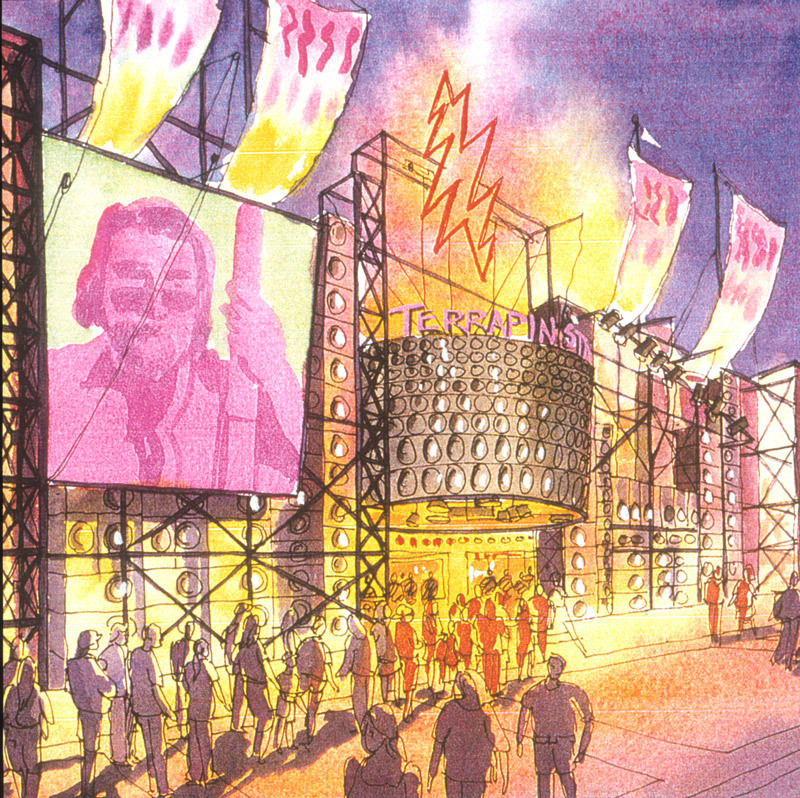 Contemporary designers are also well represented through the collections of SMWM, Jim Jennings, and others. The Archives has long-focused on housing which is documented by the holdings beginning with George Applegarth’s housing for the town of Clyde, Vernon DeMars’ Farm Security Administration records, through Wurster’s WWII War Housing to housing projects represented in the work of Robert Marquis, Daniel Solomon, and Sam Davis. Collections of lesser-known architects who nonetheless made significant contributions to the built environment of the San Francisco Bay Area also comprise an important part of the Archives. These include Irving and Gertrude Morrow, who contributed the Art Deco design and color to the Golden Gate Bridge. 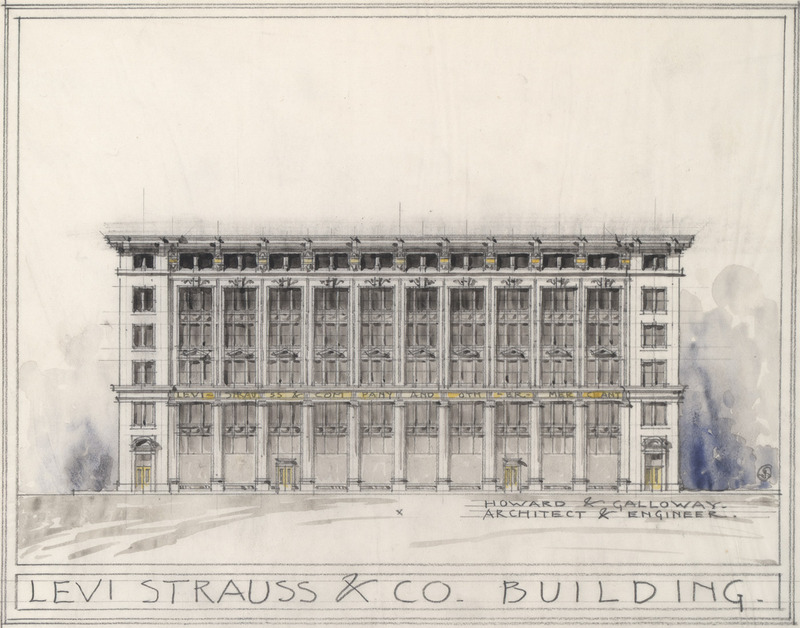 The William G. Merchant, Frederick H. Meyer, Francis Joseph McCarthy, Henry H. and Mildred Meyers, Creston Jenson, and Herman Baumann collections document hundreds of the commercial storefronts, office buildings, apartment buildings, and institutional structures that constitute the cultural landscape. Equally integral to the Archives are holdings in American and English landscape architecture. This element of the collection originates with the donation of Beatrix Jones Farrand's Reef Point Library to the Landscape Department in the 1950s. 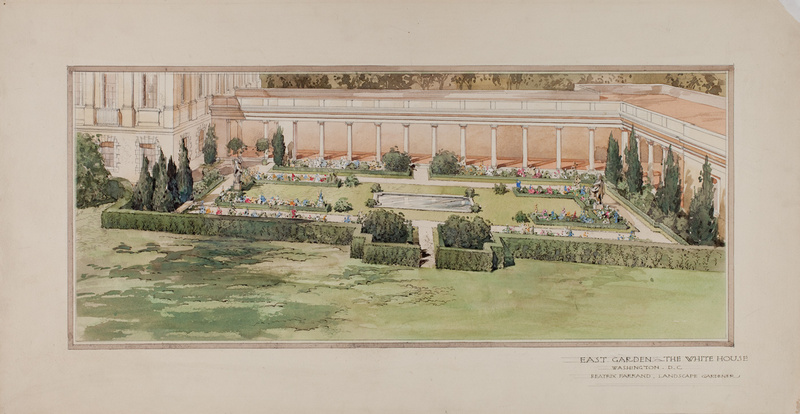 The donation included Farrand's own project records, the garden plans of English landscape architect Gertrude Jekyll, and the records of 'Garden Architect' Mary Rutherfurd Jay. The Archives also contains the records of the founders and practitioners of the modern California landscape such as Thomas D. Church, Garrett Eckbo, Douglas Baylis, Robert Royston/RHAA, and Geraldine Knight Scott. The “next generation” of landscape designers such as Richard Vignolo, Casey Kawamoto, Jack Stafford, Theodore Osmundson, and Walter Guthrie are also held by the Archives. Design Activism is well represented by the collections of Sim Van der Ryn, Karl Linn, and Randy Hester and Marcia McNally. The Alice Carey Records provide a preservation approach to the cultural landscape. The Environmental Design Archives also holds the work of ceramicist Edith Heath and architectural photographers such as Phillip Fein, Roger Sturtevant, Morley Baer, Phil Palmer, Ernest Braun, Roy Flamm, and Carolyn Caddes. See the List of Collections for more information about specific holdings. 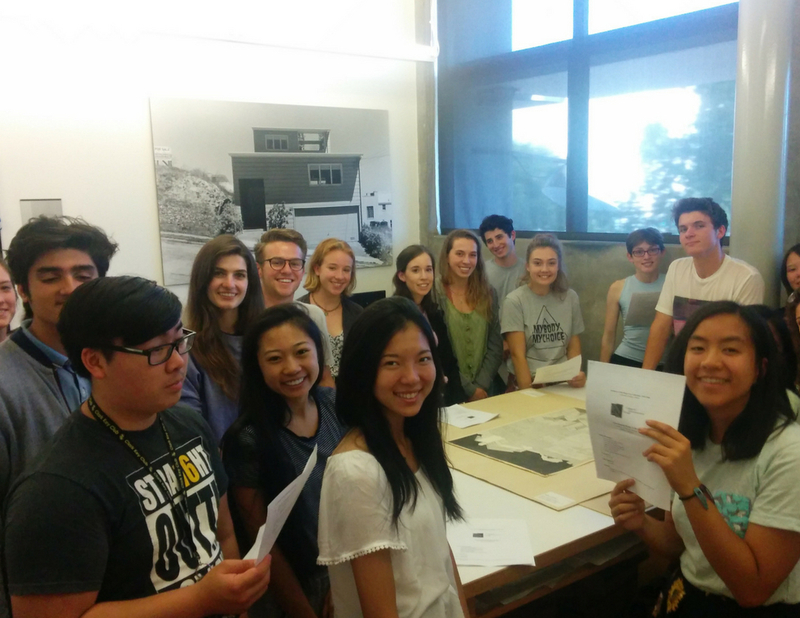 In keeping with the educational mission of the University of California and the College of Environmental Design, the Archives staff makes class presentations to introduce students to its holdings, policies, and services and identifies materials suitable for course assignments or research topics. The Environmental Design Archives staff also works with the faculty to facilitate faculty research, to locate material for instructional images, and to coordinate students' use of Archives holdings. With prior notification, the staff can tailor an orientation to the subject and objectives of a specific course. Instructors are advised to contact the Archives to make advance arrangements for class visits and/or assignments. The Archives also offers workshops on preserving architectural records and conducting architectural records research and will provide speakers to historical societies, architectural organizations, and other groups. To schedule an instruction session, please contact Chris Marino, Curator. The Archives arranges tours of the Collection for classes, organizations, and other groups by arrangement. To schedule a tour, please contact Chris Marino, Curator.